Another hooray for OFWs for their personal health insurance or public health insurance for their families! 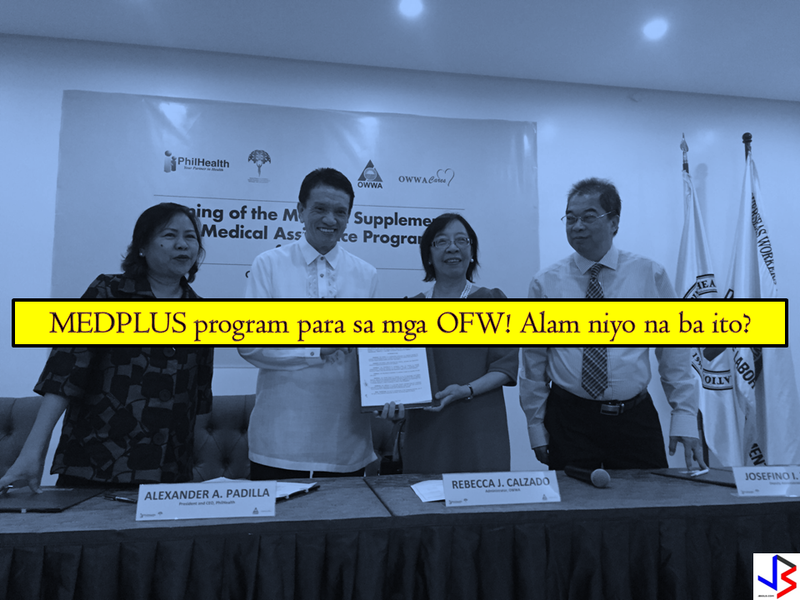 PhilHealth, Dr. Israel Francis Pargas announced the recently launched program for Overseas Filipino Workers - the OWWA ad PHILHEALTH OFW MEDPLUS. Bandila also reported it here in this video news below. Workers Welfare Administration) and PhilHealth which provides health assistance and medical health benefit for OFW (Overseas Filipino Worker) in case they are confined in hospitals abroad. Aside from the OFW, this assistance can also be availed by the OFW's qualified dependent/s in the Philippines. 1. 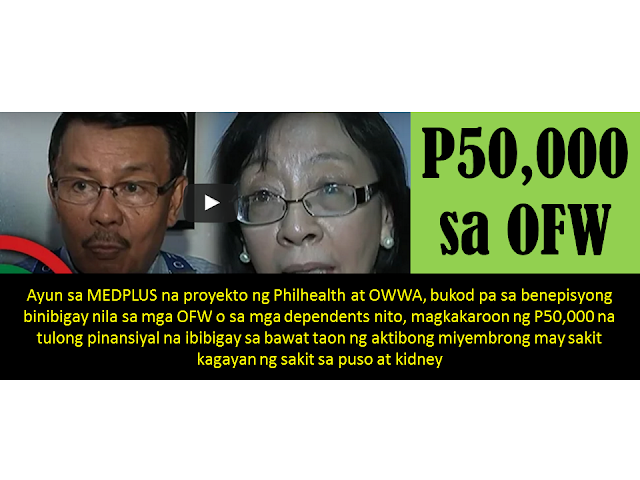 The Overseas Filipino Worker should be an active OWWA and PhilHealth member. 2. The identified illness must be under the category of “dreaded” disease. 3. 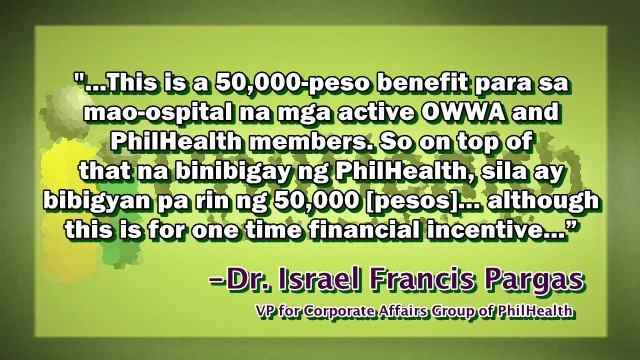 The annual benefit limit from PhilHealth hasn’t consumed. 4. The health care facility where confined is accredited. their claim forms (which is also known as PhilHealth Claim Form 1) together with the medical record (or operation record if operation is performed) and Statement of Account. 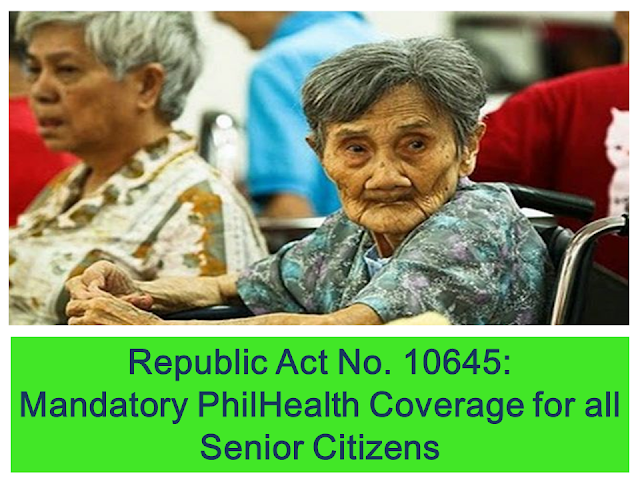 Within 180 days from the date of discharge, it should be sent either via overseas courier or e-mail to the PhilHealth Office or any Local Health Insurance Office nearest to the member. On the other hand, if the OFW or his qualified dependent is confined in the Philippines, claim form (PhilHealth Claim Form 1) must be neatly filled out and submitted to the Billing Section of the accredited hospital before the date of discharged. provided an amount of nearly 150 Million Pesos for this year only. This is favourable to all our OFWs and their families in case of emergency for medical health insurance benefits. Hopefully, this program could help and assist thousands of OFWs across the globe who may have health issues.